Gett ing engaged and finally planning the wedding of your dreams is such an exciting time. There is so much to think about! You have to pick the perfect date, venue, dress, and before you know it, it will be time to walk down the isle! We want your wedding to be as perfect as you have imagined it, and part of that includes your first dance. 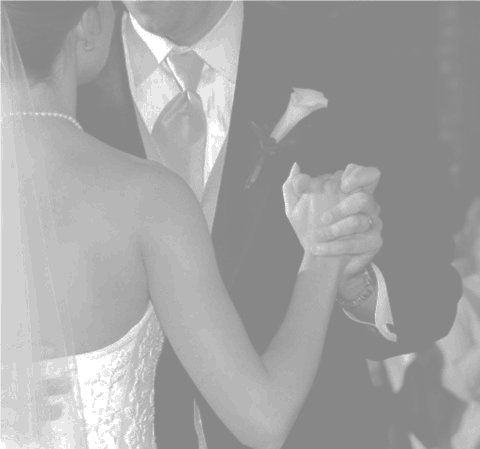 The first dance as bride and groom is a memory that you will cherish forever! Whether you have two left feet or you’re a dancing fiend, we can help you plan and learn your first dance. It is best to first start with deciding what kind of moment you want to create. Do you want your dance to be traditional and simple, or do you want your dance to be more flashy and fun? After you decide pick out a song that fits your theme. This is where the professionals can step in. If you already know you need some help with your dance, that is the first step to success! Usually couples who are practicing need at least 3 dance lessons. It takes some time to really get the steps into your body, and also it can take a little bit of time for you and your fiance to get comfortable dancing together. Make sure you schedule your lessons a few months before your wedding day. Wedding week is stressful enough already, and you don’t want to make it even more crazy by waiting until the last minute and cramming in some dance last minute dance lessons. If you plan in advance you will be able to relax and enjoy the lessons, and you’ll be creating special memories with your fiance. You will also be able to decide if you need more than 3 lessons, or if you feel comfortable with what you have learned. Whatever you do, don’t be victim of the “clutch and sway.” Make your first dance dreams come true by learning a few fancy moves for the dance floor. Congratulations on your engagement, and happy planning! Previous Post: « What are Dance Competitions?